We’ve been here before you know. Overwhelmed by fake news. Making important political and social decisions based on lies, half-truths and deliberate manipulation of facts, shaping them into something quite hideous. Perhaps even ignoring them all together. Denying they exist. There really is nothing new. Just different ways to twist and turn the facts. Remember the USS Maine? Sunk in Havana Harbor in 1898 allegedly by unknown assailants. It was the real dawn of “yellow journalism” when William Randolph Hearst and Joseph Pulitzer (yes, that Pulitzer) used their papers to print false stories of atrocities to whip up anger against the Spanish masters of Cuba. Thus, the Spanish-American war was created. Three months later the US had the Philippines, Guantanamo Bay and more or less control of Cuba. In 1976 a US naval commission ruled that the Maine’s sinking was a result of a fire that ignited its ammunition stocks, not a Spanish mine. The babies in the incubators. In 1991, the US was debating a resolution to go to war against Iraq for invading Kuwait. There were emotional statements on both sides. The outcome was unsure … until a young woman spoke at a US Congressional hearing, about watching Kuwaiti babies taken out of incubators so they could be sent to Baghdad for Iraqi babies. Politicians and the media were incensed, the debate swung in favor of war, and you know the rest. What only became known later was the young woman was the daughter of the Kuwaiti ambassador to the US, that she hadn’t been in Kuwait in months, and the entire incident was a plan by the US PR firm Hill-Knowlton (who had been hired by the Kuwaiti government) to convince Congress to go to war. Not a single politician or media member had ever asked the young girl who she was or if she had indeed seen the incubator incident. Niger yellow cake uranium. The entire 2nd Gulf War was a complete fabrication by the President George W. Bush administration, bought and sold by the US mainstream media, hook, and sinker. And in some cases, the Mainstream Media was actual source of the fake news (that’s you, New York Times). Now here’s the thing about the fake news in these situations. These weren’t some teenagers in Macedonia pumping out fake news to conservatives trying to activate their confirmation bias and give them another reason to vote for Donald Trump, as happened in the 2016 election. Almost all of these fake news stories were promoted by the mainstream corporate media. In most of the above cases, after it was shown that the media had been manipulated by the government, there was much wailing and gnashing of teeth, deep soul-searching, seminars held in journalism schools, and promises that such failures would never happen again. But they did. Repeatedly. The examples above are only four, but they are four important ones because the media’s role in promoting these fake news stories helped lead to the deaths of thousands of Americans and perhaps hundreds of thousands of Filipinos, Vietnamese, and Iraqis. So when I hear the mainstream media tut-tutting and wagging their fingers about the dangers of fake news, I find it a bit ironic. One reason that this new strain of fake news is so effective, particularly with conservatives, is that over the years the media has helped promote fake news and sensationalism. This is partly why so many people distrust the media. Add in the speed of the Internet age, the reach of social media, and the determination of people who only want to hear news that confirms what they already mistakenly believe, and you have where we are now. In the end the responsibility is not with the media but with us. It’s why we must do whatever we can to promote media literacy. On a personal level, my wife and I talk with our children about news stories, documentaries, even television ads, to help them understand how news is put together, and how that can be used to try to manipulate emotions (either by the government, politicians, talking heads, or even the reporters), and how advertising strives even harder to achieve the same effect. We may be engaged in the most important social and political struggle of our time, in North America and globally. We are entering an age in which politicians have shown themselves more than willing to lie, and manipulate, and openly mock the truth. Their lies are quickly seized upon by fake news sites that promote the falsehoods, and the situation is often made even worse by the way the mainstream media also reports on the lies. Finally, there is a need to hold both the mainstream corporate media and these fly-by-night fake news websites to task. Even if people don’t want to believe the truth, it’s important to keep putting the real facts out there, about issues like climate change, abortion, scientific inquiry, immigration, the loss of civil rights, police brutality, misogyny, the conflicts of interests of the president of the United States, regardless of the often virulent opposition from those on the Alt-Reich (or as the Associated Press prefers you would call them Nazi sympathizers, white supremacists, and racists). That’s the real job of the media. And also of the informed citizen. It’s pretty hard to have one without the other. It probably sounded better when the late Canadian Prime Minister John Diefenbaker said it. That way you get the joke on ‘pole’ and ‘poll.’ No matter, his contempt for polls was legendary. In the late 60s and early 70s, he felt that being told about the results of a poll was often just as bad as being told an outright lie. He was probably not wrong. The funny thing is, with all this constant polling you would think polling would be much better. It’s not. Aside from a group of about 8-10 credible pollsters, most polls are ‘meh.’ Perhaps not “outright lies,” but not worth much more than what you might pay for stock in Lehman Brothers these days. To make matters worse, these relatively worthless polls are reported on by a breathless media, hungry for polls that suit the narrative they want to sell to the public. So here are a few suggestions (based on my personal experience doing polls in Canada and the US, and the wise words of the master of polling Nate Silver) about what to watch out for in polls, how you can tell a good one from a bad one, and why you never, ever, ever bet your house on one poll only. There are two big problems pollsters face: 1) fewer and fewer people have landline phones – in particular younger people and minorities – which makes it harder and harder to do live interviews, and, 2) people are fed up being polled (thanks to telemarketing) and so either never answer the phone, or just hang up. So one way to tell a good poll is if the pollster conducted live interviews (and not robocalls) to both landlines and cellphones. Also, check the poll’s internal data to see its demographic makeup. A poll of only younger white males will not produce an accurate picture of the raec between Hillary Clinton and Bernie Sanders, for instance. Pay much more attention to a poll of likely voters than to a poll of registered voters. There are lots of registered voters in the US. Not all of them will actually vote in the election. (One poll included data from people who weren’t registered at all.) Likely voters have had a record of past voting in a variety of elections. When they tell you they will be voting, they mostly mean it. A poll of likely voters will give you a much more accurate picture than one of registered voters. Go to a site like fivethirtyeight.com (my favourite), HuffPost Pollster, or RealClearPolitics to see how the entity that did the poll has performed in the past. Some pollsters, like Rasmussen – one of the very worst in my opinion – has a strong GOP bias (according to 538.com’s ratings of pollsters) of almost 2% which means every poll that shows Clinton leading trump by only one percentage point is probably in reality closer to 3 or 4 percent, which most polls show. There are polls with strong Democratic biases as well, and they need to be regarded with just as much suspicion. Also, one poll cannot be trusted, even if it makes your candidate or a position you support look great, because it may be an outlier. Look at the average of polls over the past month for a better picture of the true nature of the race. Also, polls by good pollsters done just before an election can give a more accurate forecast of the results, but not always. One of the reasons I love 538.com is that they not only do a forecast that looks at what the polls are saying, but they also do what they all a ‘polls-plus” forecast. This forecast is based on the Bayesian theory idea that you update your forecast about an election as more information becomes available. You don’t just stand put. Different factors affect how people vote and give a better hint than just polls. Some of these factors named by 538.com are “endorsements, state and national fundraising totals, favorability ratings, ideology ratings and national polls.” All information that helps you better understand where a race really stands. It is like taking into account stats but also the injury report, status of contract negotiations, and personal issues of your favorite ball player when guessing how he’ll do in the coming season. But much of the media seems to understand none of this, or doesn’t want to. So I warn once again, never believe anything about a poll report, from particularly cable news. Cable news is not interested in the facts – it is interested in the horse race, and in raising money. Let me give you an example. Earlier this month, there were four polls in California, two showing Hillary Clinton winning by only two points. The other two showed her winning by a margin of 18 points and 13 points. Both results are possible, depending on how the very large Hispanic population votes (see article below). But much of the media almost uniformly ignored the larger results. It’s not because they are pro-Sanders. It’s because they are pro-horse race. The two-point advantage fit the narrative they wanted to spin, so that’s what they sold. Only one journalist I could find, Paul Krugman of the New York Times, mentioned the 18-point poll, probably because he is a Clinton supporter (as am I). The best journalism would be to report that either outcome is possible. But good journalism is both too wishy-washy and off-message for much of the media. So the horse race wins out. So if you want to really get a good sense of what the polls are telling us, please go to fivethirtyeight.com. Nate Silver and his crew are the best. And if you get a chance, read his book, “The signal and the Noise” if you’re in a really geeky mood and want to understand how this stuff applies across a variety of fields. Because polls are a part of our lives and the more you understand the way they work, the better you’ll be informed. Constant US electioneering is the result of two factors: 1) politicians constantly looking for new sources of money and 2) TV and cable news networks trying to keep the money flowing in – so it is to the benefit of both of these groups that they just constantly promote the next time we need to visit the voting booth. Ok, let’s not beat around the bush. Six decades gives you a lot of material to work with. I can’t list all of it, but here is a partial list of what I now know. My mind tells me I’m still 20. Ok, maybe 40. But my body seems to take delight in undermining this lovely fantasy. I take pills for asthma, high blood pressure, cholesterol and a Vitamin D deficiency. Despite the fact that I work out 4-5 times a week, my ever-slowing metabolism chuckles at these feeble attempt to reduce my waistline. But the place I notice age the most is how long it takes me to recover after a night of making merry. In the past, I could have drunk a group of noisy Turks under the table … and have … and then been up the next morning raring to go. Now if I have three or four light beer, it takes me two or three days to feel OK again. One of the stats that has always interested me is the number of unemployed people who have stopped looking for work. How could people stop looking for work? If you didn’t have a job wouldn’t you keep looking for one, regardless of how long it took? It seemed like these people were just quitters or lazy. Recently I have been working on a couple of different projects that I found out about through friends, but I’ve stopped looking for work in any conventional sense. It just became too soul-crushing to be constantly told, “sorry, we’re not interested.” I truly had the feeling that I was wasting my time. I’m pretty sure I know why: I have been a journalist for a long time, but the reality is that most publications, online or in print, want young people who they can pay a much lower salary. It’s the way of the world. But now that I’m 60, I understand why people stopped looking. My dad died when he was 56. I’m now four years older than he was. I now understand just how much he really missed out on. When I was younger I cared a great deal of what people thought about me. For years as a columnist in Halifax, Nova Scotia, I would fret myself into knots after writing a column because I was afraid the people I was writing about wouldn’t like me anymore. That was then. This is now. Now that I’m 60, I don’t care much what people think about me. I’m a pro-choice, pro-gay rights, pro-better gun legislation, pro-union, pro-immigration, atheist, living in rural, conservative, northern Virginia. If somebody asks me what I think about something I will tell them, or refer them to my Facebook page or my latest column for Facts and Opinions. I heard it was like this, that when you got older you spent less time worrying about what other people thought about you. If there’s any one gift that I could give to my children based on my 60 years of experience as a human being, that would be it. Don’t care what people think about you … just be yourself. Despite various illnesses, the lack of a job in recent years, the way that 60 leads you inevitably to consider your own mortality, the worrying about how my wife and I are going to find the money to send our children to college, I find that I’m happier that I have ever been. I have a great life partner, four great kids I get along really well with, three cats, a 16-year-old dog, a nice house, beer in the fridge, many good friends, and a thirst to know what comes next. Life has really never been better. Abraham Lincoln once said “You’re only as happy as you make up your mind to be.” I made up my mind. And one last thing. I confess to you, here and now, that I also love kilts. I received one for my 60th birthday; it was the best present of the day. And being 60 means I’ll wear it come what may. The most important decision I now face is …briefs, boxers, or commando? Facts and Opinions is employee-owned, and relies on the honour system: try one story at no charge and, if you value our no-spam, no-ads work, please chip in at least .27 per story, or a sustaining donation, below. Details here. Friends, North Americans, country men (and women), I come to bury commercial journalism, not to praise it. First of all because there is almost nothing to praise. And unlike Marc Anthony with Caesar, I want to bury it deep in the ground where it belongs. And drive a stake through its heart. And fill its mouth with garlic. They say we get the government we deserve. The same is true of media. If so, then we are a stupid, shallow people, easily manipulated, poorly informed and a greater danger to democracy that any al-Qaeda or ISIS fighter. The click-bait story that tells you nothing and is often completely fabricated. The he said-she said interviews that create mountains out of molehills and provide people with a completely false impression of reality. The endless stories about Kardashians – a family that has accomplished little of real value but who are famous for being famous (not to mention their various celebrity clones). Cable networks that create Godzilla-like political candidates or blow up one story into an all-consuming meaningless mess as a way to make money, money, money. The repetition of grossly misreported stories on politics, science, food, medicine, etc., etc.. Websites that exist only to print rumors and lies because they can make money that way. So much dreck, so little substance. Commercial media – almost all cable TV news networks, most “news” websites and many, many papers – pay little more than lip service to quality journalism in the second decade of the 21 century. There are many reasons why, most of them involving money over quality. Journalism now is a commodity, like shoes, or handbags or dish soap. Commercial media and their audiences share the blame for this. Media have trained their audiences to expect meaningless, low-quality nonsense. And then when challenged on the inferior quality of their product, their response is often well, that’s what the people want. And they are right – many people want information that entertains, not enlightens, them. The commercial media seldom challenge them with complexity and nuance, as this reduces ratings and advertiser dollars. It is a self-fulfilling loop, both sides feeding off the other. Ignorance blossoms, misinformation spreads, and cunning people like Donald Trump know they can manipulate this system to their benefit. Trump knows he can lie and lie, and lie about lying, because the commercial media won’t really challenge him on it as long as he keeps helping them make hundreds of millions in profits. He understands the way the game is played better than anyone before him on the GOP side. There are exceptions in North America. There are still a few quality print newspapers left, and some good magazines. There is almost nothing in the wasteland of TV. And the web has some good options. Radio is largely worse than TV. Not to mention most media is concentrated in the hands of a few wealthy people or organizations like Disney or General Electric, corporations that make sure the journalism done on their outlets never endangers the bottom line. But the quality news outlets that remain on TV, radio, and the web in particular have one thing in common – they receive outside support of some kind. Public broadcasters, support by government dollars in Canada, or pledge drives supplementing government dollars in the US, bring us quality radio and TV. Websites like ProPublica do great journalism day after day, but are dependent on support from the public, foundations and donors who want good journalism to survive. Which brings us to a moment whose time has come, so to speak. Journalism that matters, that makes a difference, that protects democracy and the public (even if they don’t care) can only survive in a non-commercial format. 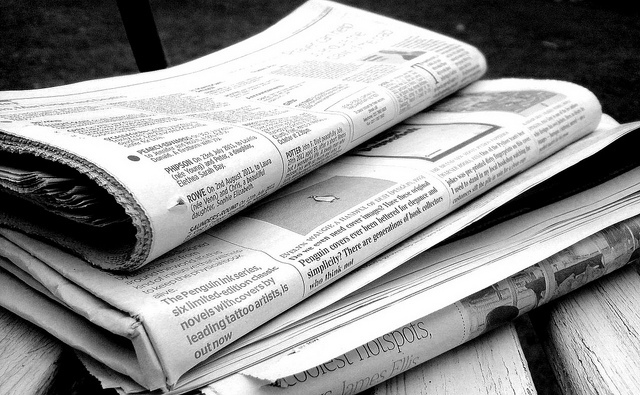 Quality journalism will need to be supported in ways that might seem controversial, but have actually been around for many years, including government supported journalism. Public broadcasters in Canada, the UK and Australia certainly have their problems, but tend to produce the best journalism in their respective countries. It’s time for the US to look into a similar system. Yes, there will be problems, and no it’s not perfect, and sometimes mistakes will be made. But there will also be a lot of quality journalism done on the left and the right, by reporters who won’t have to worry about their stories being pulled or toned down for fear of what advertisers, or even the government itself, have to say. If more media outlets received government funding, combined with support from the public or foundations, we would have a stronger democracy. I don’t think that better journalism necessarily leads to a better informed public, but it will help reduce the misinformation and manipulation of the system, by unscrupulous vulgarians with small hands, for instance. But we can’t wait. The problem created by inferior commercial media is dragging down all media. These days journalists rank only higher than child molesters and atheists on public opinion polls. 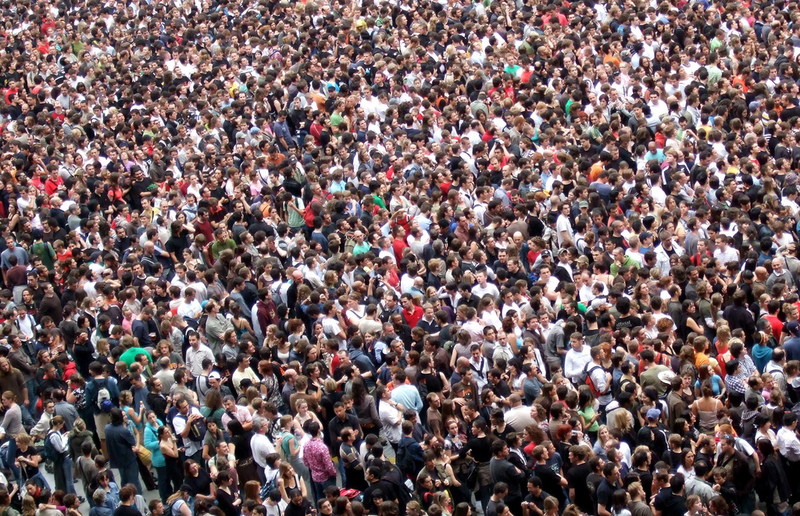 Journalists don’t have to be popular – we’re not the Kardashians. But we should be respected. And until we change the way journalism is done, we won’t win that respect back. I’m not going to pretend I’m a Bernie Sanders supporter. I’m not. I’ve explained in earlier columns why I back Hillary Clinton, even though I’m ideologically much closer to Sanders on almost all of the important issues. After living in the United States for nearly a quarter century, and seeing how the mainstream media, the right-wing echo chamber, never-ending political gridlock, religious politics, and unfettered access to money combine to create a fetid political miasma, I believe that Bernie would be a sitting duck in this fall’s presidential election, regardless of what the polls say right now. The right hasn’t even started to turn its guns on a self-declared socialist. I can see the ads now. It looks like the end is nigh for the Sanders campaign. After a double-digit loss in New York, and looming double-digits losses in Pennsylvania, Maryland, Connecticut and Delaware, a Sanders win ain’t gonna happen. All the talk by die-hard Bernie supporters of stealing away superdelegates is just that – talk. And Sanders will lose for one main reason – a total inability to connect with minority voters. If he had just drawn even with Clinton with voters in these communities he would be the nominee for sure. But his campaign has mainly appealed to young white progressives, which is an important audience, but without black and Hispanic voters, you will not even get nominated as a Democratic dogcatcher. It’s time for Sanders to come to grips with this reality and to start thinking about November. The most important thing is to beat the Republicans, and the Democrats have a golden chance to win back the Senate AND the House because of how the Republican party’s nominating contest has turned into a combination freak show, wrestling cage match and car wreck. It doesn’t matter if it’s Trump or Cruz. Since the GOP contest will probably last until late July, in Cleveland, the Democrats have a golden opportunity to define the terms of the election now, and make a start on defining who the party will be up against. But it is absolutely necessary that Bernie not give up running. Yes, he should start to encourage his supporters to support Clinton. I am, however, totally in favor of him building up his delegate total and going into Philadelphia in late July demanding that the party’s platform reflect his point of view. He should also pressure Clinton to pick a vice-presidential candidate who reflects his view. Someone like, say, Sen. Elizabeth Warren of Massachusetts. Warren would be the perfect pick. She is as progressive as Sanders on all the issues that young voters care about. It would be much easier for them to support Clinton if they knew Warren was her backup. She is super intelligent, and fearless. The traditional roll of a vice-president nominee is to say the things about the opponent that a presidential candidate can’t. It’s my opinion that Warren would reduce Trump or Cruz to tears. And heaven help the poor man or woman the GOP pick as their vice-presidential candidate in any debate against her. Bernie Sanders can bring about change in the Democratic Party in a way that no other candidate has. It’s important that he does so. If the Democrats want to take advantage of the party’s growing support among young people, and the demographic changes in their favor, they need to move forward. Repeating what Barack Obama did is not enough. That’s why Bernie Sanders needs to both surrender and fight on. It’s time to act. He can both help the Democrats overwhelmingly win the next election, and change the party forever. I know that would not be the ultimate prize, but it would be a victory not to be sneezed at. The author’s contention, one that I agree with, is that how you answer this question tells a great deal about you as a person and about the kind of society in which you would like to live. If you answered yes, I am my brother’s keeper, you believe in a world in which we all share common burdens and common rewards. A world in which we look out for each other. If you answered no, then your goals were much more personal, and you cared little about other people in society. In fact, society wasn’t something you really believed in, other than how it existed to further your own goals. Think about that for a moment. The next time you look at your front door and you think the world is some gigantic entity that goes on forever, remember it is a very small planet in a very small solar system on the outer edges on one of the arms of a medium-sized galaxy in an immense universe. There is no other place to which we can escape. As Sagan noted later in his reflection, no one is going to come and save us from ourselves. We are all there is. And so for me, the great clash of civilizations is not about Christian versus Muslim or Muslim versus Hindu or East versus West or any of the other dichotomies that are thrown at us daily by hyperventilating media, or academics or pundits who are only looking for a topic on which they can write their next book, something they can talk about on cable news endlessly. No, the great clash of civilization is between tolerance and intolerance. And how we address that truly will determine the fate of the world. It’s not an easy issue. Tolerance requires a great deal more of us than intolerance. Being intolerant is easy. Hatred sometimes seems the natural condition of humans. It takes little effort to sit back and condemn others or ignore them or blame them for all of your troubles. It’s especially easy when we have political figures who want to run our countries using others as scapegoats for problems that require much more difficult solutions. Tolerance provides an easy fix, a quick way to make ourselves feel better, superior, not to blame. Tolerance, on the other hand, demands a great deal of us. Tolerance demands that we put our own needs aside. Tolerance asks us to take a deep breath and think. Tolerance asks us to raise our fists not in a threatening way but to offer a handshake. Tolerance asks us to remember, “That could have been me if I was born in a different place, with a different colored skin, with a different sounding name.” Tolerance asks us to remember that we also have children, and parents. Tolerance asks us to think “What would I do if this happened to me?” Tolerance asks us to, if I can borrow a religious idiom for a moment, treat others as we would have others treat us. These really are the two great forces that clash in our world. They go beyond definitions of religion, of country, of race, of gender of any factor that you can think of that divides us. The clash of tolerance versus intolerance is almost always at the bottom of all these conflicts. Now, I’m no Pollyanna. I don’t go around all day singing kumbaya. Or thinking I like to buy the world a Coke. There are days when I feel just as angry and judgmental as anyone. 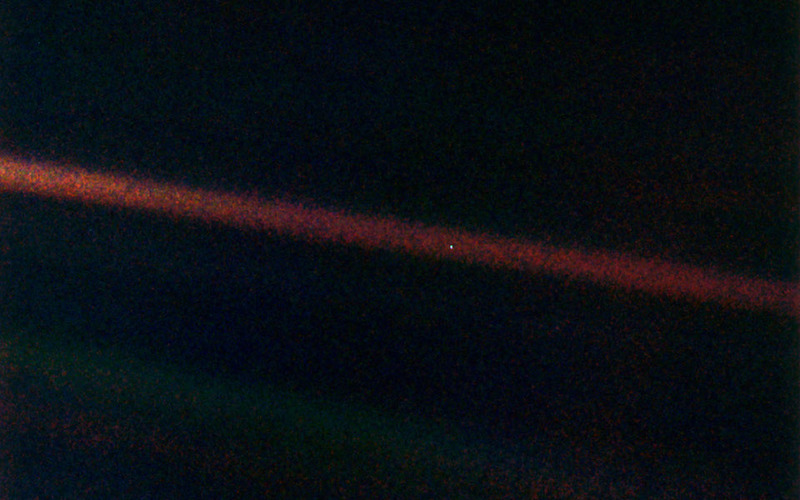 And that is why I have a copy of the pale blue dot photo on the wall in front of me. I like to think of it as the physical manifestation of my conscience. To remind me which side I’m on. Once upon a time, long ago and faraway, there was a magical kingdom. And in the kingdom there were three great forces: the king who was chosen by the people, the counselors who said they represented the people but who really only represented the people with money (for brevity’s sake we shall revert to this group as the “wing nuts”), and the great judges. For many years these three groups found a way to get along. Oh, there would be big arguments from time to time, but by and large the three groups were most interested in making sure that their kingdom progressed in one way or another. But then one day, the wing nuts were taken over by an angry mob of trolls who only liked to drink tea. And all wing nuts who didn’t like tea had to pretend that they did. And of all the many things that the tea-drinking wing nuts hated, the thing they hated most was the king. They thought he was the wrong size, the wrong colour, the wrong religion, the wrong … Well, you get the idea. If the king said it was Tuesday, the wing nuts who only liked to drink tea would scream loudly that it was actually Wednesday, and that the king was trying to destroy the country because he was the wrong size, the wrong color, the wrong religion etc. Meanwhile, the great judges would look over each of the laws that had been issued by the king or by the wing nuts and give a thumbs-up or thumbs down. Now the judges were split, 5 to 4, in favour of the wing nuts. This meant that many of their decisions went against the king. But the king was a good king, and he knew the laws of the land, so he would abide by their decisions. And then one day the most amazing thing happened. One of the great judges, Scalia of the Sarcastic Sanctimonious Sentences, died quite unexpectedly. While in most cases the death of one of the great judges caused some hubbub, the death of the Scalia resulted in a total hissy fit among the wing nuts and the wing nuts who only liked to drink tea. They knew according to the law of the land the king had a right to name a person to replace the Scalia, and that he would probably name someone he liked and who he thought was good. But the wing nuts and the wing nuts who only liked to drink tea knew that it meant that the great judges would now be in favour of the king. Normally the wing nuts and the wing nuts who only liked to drink tea were among the most vocal supporters of the law of the land, and often accused the king of trying to make his own laws instead. But they knew that was a tricky position to hold in this particular case, so they immediately pretended that the law (known among the people as “Article II”) did not exist. But the great law was very clear. As long as the king was the king, he had a right to name the person who would replace the Scalia. The wing nuts and the wing nuts who only liked to drink tea then tried to say that since the king was in his last year as king, that “the people” would want them to wait until there was a new king to pick a person to replace the Scalia. But that’s not what the law of the land said, and most of “the people” were aware that the wing nuts and the wing nuts who only liked to drink tea really didn’t care much about the people, and were only hoping that by throwing a lot of nonsense around, the new king might be the Terrible Trump or the Creepy Cruz or someone of a similar ilk, who was one of the wing nuts or the wing nuts who only liked to drink tea. So the wing nuts and the wing nuts who only liked to drink tea started to perform a great kabuki dance. They put on white faces and made weird noises and sounds and danced strangely around the kingdom, veering back and forth between supporting the king’s right to name the successor to the Scalia, and saying that he had no right at all. In the end, it really did not matter, because even if they allowed the king to name a successor, there was no way they were going to allow him to actually replace the Scalia. They would find some reason to say that the new judge was not the right person for the position: that he had farted too loudly in class in high school, that she had the heartbreak of psoriasis, that he had backed the wrong contestant on The Bachelor, or that she thought 2+2 = 4, when all wing nuts and wing nuts who only liked to drink tea knew that 2+2 = 5 and that climate change was a hoax (that probably wouldn’t really matter, but all wing nuts of all kinds just like saying that as a matter of course). Which brings us to today in the kingdom. We are all waiting for the king to name a new successor to the Scalia, because that is his job and it is what the law of the land says he must do. But the wing nuts and the wing nuts who only liked to drink tea are wearing their white faces and practicing their dance in the dark places where they are known to gather. They plan to dance for a long time. In the end the only people who will really suffer are the people in the kingdom. But they are so used to that now, they just find it kind of amusing, since they know we are all mad. After word of Justice Antonin Scalia’s death emerged last weekend, it took Republican majority leader Mitch McConnell less than an hour to announce that the Senate would not entertain a replacement before November. “This vacancy should not be filled until we have a new president,” he said. McConnell’s blunt declaration was taken as the starkest exhibition yet of the obstructionism that has characterized the Kentucky senator’s stance toward President Obama and congressional Democrats. 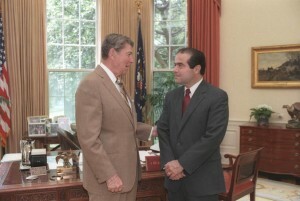 US Supreme Court justice Antonin Scalia, right, was appointed by Ronald Reagan. The death on February 13 of Justice Antonin Scalia, leader of the conservative wing of America’s Supreme Court, may be one of those rare events on which history pivots. And given the court’s oversized influence on world affairs, at a critical time for the environment, finance and human rights, the impact will be global. Let me say first, I don’t care who wins the Democratic nomination for president. If Bernie Sanders wins, I will vote for Bernie Sanders. If Hillary Clinton wins, I will vote for Hillary Clinton. If Martin O’Malley wins (basically, if hell freezes over) I will vote for Martin O’Malley. To put it in more specific terms, if the Democratic Party nominated a yellow dog (as the saying goes), I would vote for the yellow dog. Which brings us to Hillary and Bernie. For several months now Hillary Clinton has been the anointed front runner, just as she was in 2008. And just as she did in 2008, she may be about to blow the whole thing. While the circumstances that are leading to Hillary’s current stumbles are different than in 2008, the outcome is eerily familiar. 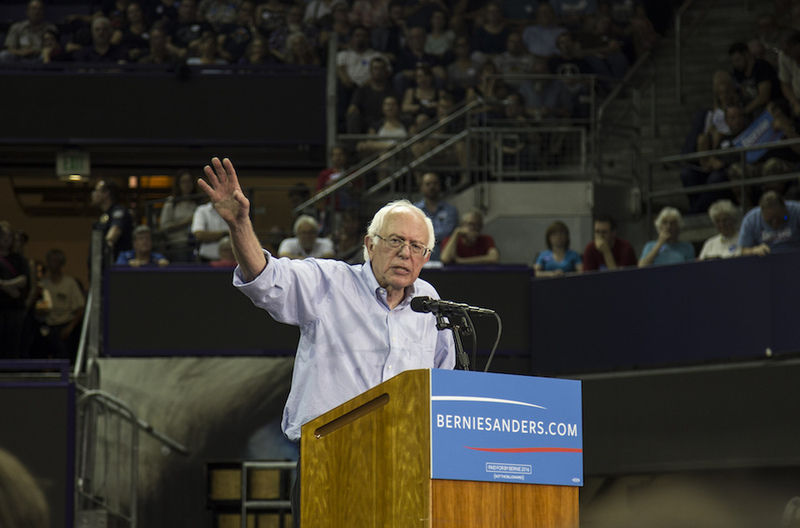 Recent polls have shown Bernie Sanders picking up steam in Iowa and New Hampshire, leading numerous Beltway pundits to predict Sanders’ victories in both states. So with all this momentum favoring Bernie Sanders, why is it that I am predicting that ultimately Hillary Clinton will be the Democratic nominee for president in 2016? It boils down to a simple factor: Bernie Sanders is too white. And so are Iowa and New Hampshire. There are a lot of good reasons why Bernie Sanders is a very attractive candidate. He’s never been beholden to large corporations for funding, he has always walked his own path and, by and large, he says exactly what he thinks. But what he thinks has a lot more appeal to young, urban, and slightly older middle-class and upper-class whites. Bernie Sanders’ core message does not play as well among African-Americans and Latinos. The Monmouth poll, taken mid-January, showed Sanders gaining a lot of traction on Clinton in almost every demographic group: whites, moderates, liberals, etc. But among African-American and Latinos, Hillary Clinton has increased her lead. Clinton has three key factors in her favor: she has the support of Barack Obama, which will help her among African-Americans. In 2008 she outpolled Obama among Latinos, and there is little reason to doubt she won’t show the same kind of strengths this time around. And, she has a very important ally, namely her husband, former Pres. Bill Clinton, who is extremely popular among both minority groups. Bill Clinton’s appeal to black voters especially cannot be underestimated. While talking heads on morning cable TV argue about the relevancy of his past sins, black voters remember a presidency that did a lot for them. Nobel Prize winning writer Toni Morrison once famously called him “our first black president.” It can be argued that Hillary, who is not from the south originally, may not have the same kind of lasting appeal, but having Bill campaign for her will absolutely help. This is why Sanders’ popularity in Iowa and New Hampshire is a bit of a mirage. These two states are over 90% composed of older whites. In Iowa, 3.5% of the population is African-American, while about 5.6% is Latino. African-Americans are 1.5% of the population in New Hampshire., while Latinos are 3.3% (all according to the most recent US Census). But take a look at South Carolina. According to fivethirtyeight.com (a site that I consider the absolute best at analysing polls and how they affect the American political landscape) Clinton has an enormous lead. In South Carolina, Clinton leads by almost 30 percentage points. In this southern state, 29% of the population is black, and one can pretty safely assume almost all of them vote Democrat. In Nevada, a state with a very large Latino population (which actually holds its caucuses before the South Carolina primary) Clinton has a 22 point lead. The same is true of almost every other state across the South and Southwest. One reason that Sanders is seen as doing better than he may actually be doing, is because of American media coverage of political campaigns. American media almost never takes the longer view. It is almost entirely wrapped up in the moment, and so coverage on American cable news networks now focuses on how Sanders may win both New Hampshire and Iowa. 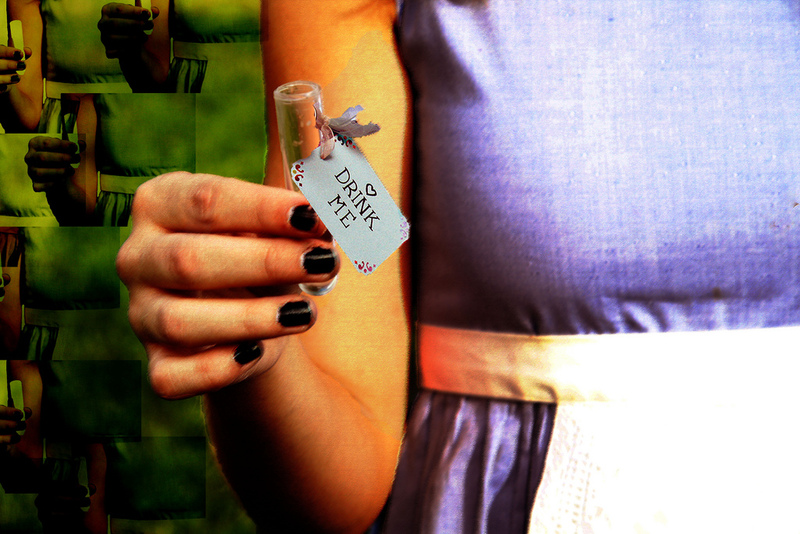 Little effort, if any, is made to show how these small pieces fit into the overall puzzle. There is, of course, still time for Sanders to do more to attract minority votes. Media reports indicate that the Sanders people are very aware that this is a serious problem for them. But ham-handed attempts in Nevada to attract Latino votes, and a recent ad released in Iowa and New Hampshire that struck people as being very “white,” are not helping. It just may be that minority voters don’t see a 74-year-old white man from Vermont as the best person to represent their concerns – even if he might be that person. And that means that Hillary Clinton will probably overcome her current problems and win the Democratic nomination. 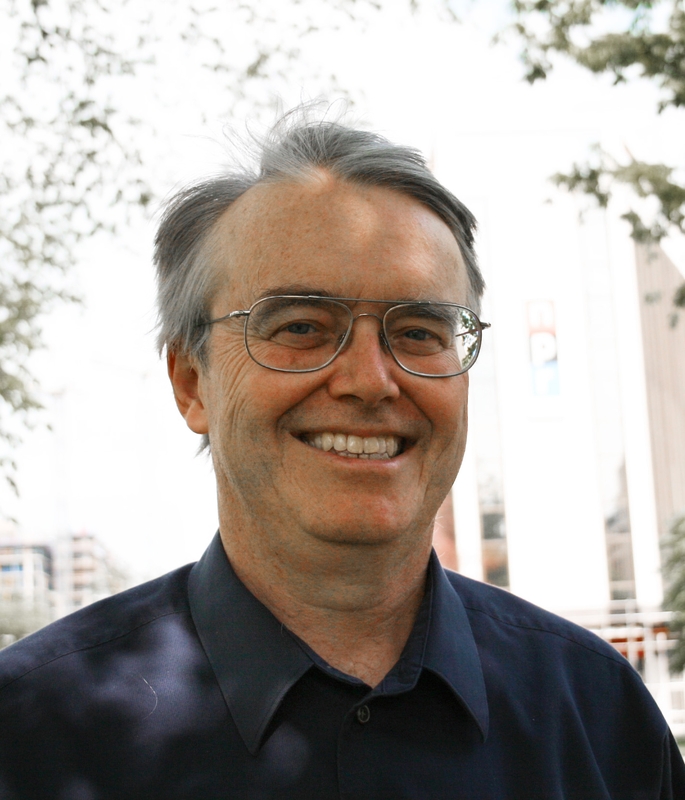 Tom Regan has worked for the Canadian Broadcasting Corporation and with the National Film Board in Canada, and in the United States for the Christian Science Monitor, Boston Globe, and National Public Radio. A former executive director of the Online News Association, he was a Nieman fellow at Harvard in 1991-92. He is based in Washington, D.C.
He’s there. Every day. Staring back at me. A white, late middle-aged man, who lives in an overwhelmingly white neighborhood. While he has a few financial woes, he has lived most of his life in comfort. He’s had a decent diet, good health care, good jobs, and his children go to good local schools. He doesn’t get profiled at airports. He can’t remember the last time he was stopped by the police for anything. Most of the places where he shops, the movie theaters he frequents, the restaurants he likes, are in ‘nice’ neighborhoods. He cares about issues of race and has always encouraged his children to think of people as equals, but other than talking about it, and writing the occasional column about it, he really hasn’t done much. He has two or three black friends. He really doesn’t know anybody who’s Hispanic, and the only Asian Americans he meets on a regular basis are the ones he meets when he stops in at the local dry cleaner or pharmacy. He is, of course, me. I am the very personification of white male privilege. I am a racist. It’s odd to write about yourself in this way. You have one idealized image of yourself that you hold in your head, but who you really are in the world around you is a different matter. I do care about racism, and I do think it’s the worst problem that America has, but if I’m totally honest with myself, my concerns are little more than a white guy just trying to sound like he cares, but who doesn’t really do much about it. It’s a problem that white people have in this time and in this place. We cannot bring ourselves to admit that we live in a racist society and that by living in that racist society and enjoying its benefits, we are racists. Many whites, if you were to ask them about racism, would say “Well, I’ve never said anything bad about black people.” And on the surface they’re probably right. On the surface. Or if you were to ask them about racism in our society their answer would probably be something like that they know it exists but many of the blacks that they know seem to be doing okay, and heck, we have a black president, that they can’t be racist because their favorite actor is Will Smith, or that they think it’s cool that one of the leads in the new Star Wars is black, or that their favorite basketball player is Stephen Curry etc., etc. But it’s what they don’t see, or don’t want to admit that they see, that makes us all part of a racist conspiracy that effectively denies blacks and other minorities the same opportunities, benefits and choices that those of us who are white take so for granted that we barely even think of them. Everywhere we look we can easily see the tentacles of this institutionalized racism and its grip on our society and culture. The most obvious example is the number of African-American males who have been, or will be, incarcerated. (One in three.) Study after study has shown African-American men are jailed more often (or in the worst case, executed) at far greater numbers than whites who are charged with similar crimes. In schools, African-American kids are punished far more often than white kids. African-Americans have a much more difficult time buying a house, and when they do they pay higher mortgage rates. You’ll often find several liquor and gun stores in African-American neighborhoods but no grocery store. When there is a grocery store, the food is often inferior but still costs more. How many TV shows are there where black actors and actresses have leading roles? And what about Hollywood? After last year’s brouhaha about the lack of any minorities being nominated for Academy Awards, Neil Patrick Harris, the host on the TV broadcast of the award ceremony, joked that night’s award ceremony was where Hollywood would honor the “best and the whitest.” It really wasn’t so funny. Television news reports, especially on conservative outlets like Fox News but also on more liberal ones like CNN or MSNBC, regularly refer to protesters in groups like Black Lives Matter, or local gatherings that have protested police killings, as “thugs,” which is the new way for these folks to say “niggers” without actually saying it. Justice Antonin Scalia, a longtime opponent of affirmative action, during a recent Supreme Court hearing on the issue, brought up the popular theory in conservative circles that maybe top universities are just too “advanced” for minorities, that they have a better chance of succeeding at less strenuous educational institutes. And so one of the leading legal voices in the United States basically called African-American kids stupid and not as smart as white kids. Maine Governor Republican Paul LePage, just a few days ago, recycled the oldest black stereotype of them all: the black man after white women. You know, the stereotype that lead to many black men being lynched not so long ago in America. How many white parents have had to have the “talk” with their teenage sons to not talk back to the police, to just do as they say, to not give them any reason to, well, shoot you. I never had to have that talk with my teenage son. Because I’m pretty sure he never be pulled over while driving just because he’s a white kid. That’s the way our culture works. And instead of us being outraged or demanding change, most people are actually okay with it. Just as long as they don’t hassle their kids. We Americans live in a racist society. The evidence is overwhelming, as you can see from the examples provided above. Those of us who benefit from this system want to pretend that we don’t see it, because if we really did see it, it would require making substantial changes. But most of all, we don’t want to look in the mirror and see a racist. But as long as whites continue to live in a system that consistently denies equality to African-Americans and other minorities — and I’m not talking about government handouts here, I’m talking about the way we treat people in their everyday lives — and we are compliant in the maintenance of that system, then we are racists. And facing that fact is absolutely one of the first things that we have to do if we’re going to solve this problem. Facts and Opinions relies on the honour system: try one story at no charge and, if you value our no-spam, no-ads work, please chip in at least .27 per story, or a sustaining donation, below. Click here for details. Tom Regan has worked for the Canadian Broadcasting Corporation and with the National Film Board in Canada, and in the United States for the Christian Science Monitor, Boston Globe, and National Public Radio. A former executive director of the Online News Association, he was a Nieman fellow at Harvard in 1991-92. For many years I have had two particular pictures above my desk at work. One is from the mid-90s, of a Bosnian Serb executing a man in cold blood. The other is of a star, the same size as our own sun, going nova. I call them my perspective pictures. I have the first one because it reminds me no matter how bad things in my life seem to be, there is always some place in the world much, much worse. The second one reminds me that one day all this (all life on earth, all traces of us ever having been here) is going to go away. So why worry? What does it truly matter in the scheme of things? At both the micro and the macro level, it’s all a matter of perspective. These pictures have been very helpful to me lately because I currently live in a country that has lost all sense of perspective. The ability of Americans to reason and to calmly take a step back and look at the big picture seems to have vanished faster than Scott Walker’s presidential aspirations. If I may borrow a quote from Green Bay Packers’ quarterback Aaron Rodgers, everybody just needs to R – E – L – A – X.
Let’s take a recent example. Well, consider this. So far in the United States this year, 17 people have been killed by Muslim terrorists, and 15 people have been killed by Christian terrorists. That’s 32 people in total. Yet under a constant bombardment of intentionally provocative images and often false information, alongside many people’s bigotry and racism, and with a dose of confirmation bias added, people who will never in their lives, even if they live to be 150, come into contact with a terrorist, act like there’s one living next door, ready to slaughter them in their sleep. As a result, instead of looking at situations like the current refugee crisis squarely and reaching out a hand to help Syrian families in dire need, Americans allow themselves to be bamboozled. They allow themselves to think all of the people fleeing from terrorism may themselves be terrorists. And while other countries, like Canada, put fears aside and allow their humanity to be the deciding factor, many Americans retreat into dark little holes of xenophobia, quietly muttering the word “freedom” under their breaths while clutching AK-47s. And it’s not just the so-called threat from terrorism that causes Americans to lose all sense of perspective. Last year the Ebola “crisis,” which claimed the life of exactly one American, had people behaving hysterically. There always seems to be something in this country that pushes people towards a place where they lose all ability to think rationally. When did Americans become such fraidy cats? When did their own shadows start to scare them so much? When did they become so gullible that a snake oil salesman politician, or a greasy cable news commentator, can convince them to be so afraid of false bogeymen? It’s not that these issues are without concern, but they need to be put into (wait for it…) perspective. When you lose all sense of perspective, when you allow yourself to be thrown about on a sea of misinformation and fear like a boat whose engine has failed, then you behave in ways that betray the very values you say you stand for. How do we restore perspective in a country so sorely lacking it? Take a look at the world around you. Not the world you see on cable news talking head shows. Not the world you hear about on talk radio. The real world. There are more than enough sources at your local library, for heaven’s sakes, that will help you gain better understanding of important issues. It’s time for Americans to stop being so afraid of everything. There are real problems that need to be solved. 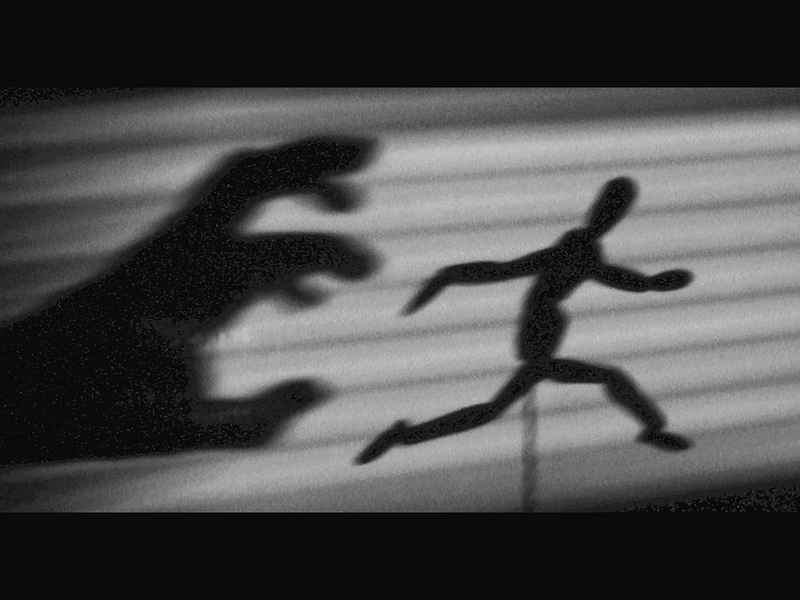 Being afraid of things that go bump in the night is not the way to find those solutions.